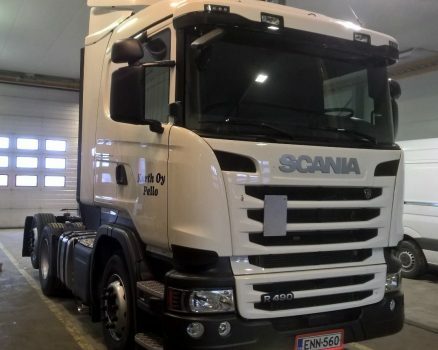 When choosing our transport equipment, we take into consideration the sustainable development of the transport industry. We are always aiming to reduce emissions, fuel consumption, and the use of fossil fuels. Our vehicles are quiet, clean, and environmentally friendly. Kuljetusliike Kurth Oy from Pello is a versatile transport company who handles transports from all over Finland and Sweden to Northern Norway and from Northern Norway to everywhere in Finland and Sweden. We also handle general cargo and temperature controlled transports. Our weekly freight traffic covers all the largest cities in Northern Norway. 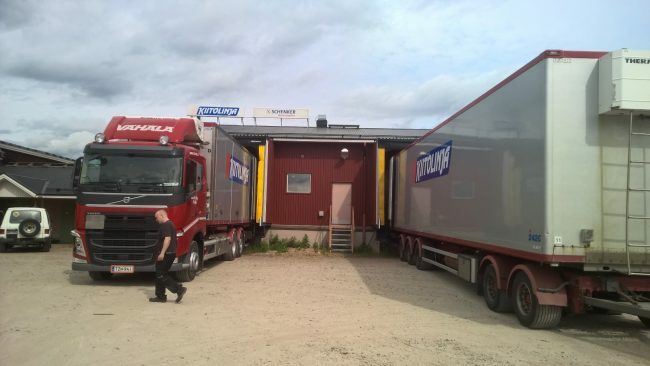 In Finland, our company handles general cargo deliveries in the Western Lapland region. Our company, named transport company of the year in 2007, complies with all industry-related laws, statutes, regulations, and the Act on the Contractor’s Obligations and Liability when Work is Contracted Out. Our vehicles regularly handle scheduled general cargo deliveries to the largest cities in Northern Norway and, among other things, bring fish and other temperature controlled products to Finland. Our terminal has been designed and built to service freight transport today and in the future. Please contact us with any questions regarding our services!